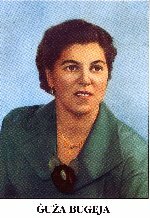 Miss Guza (Josephine) Bugeja was born at Rabat, Malta on October 3, 1927. From a very early age she showed tendencies towards spirituality. At the age of four and a half years she received her first Holy Communion. She was of a cheerful disposition and was always ready to help others. At the age of thirteen Guza had to leave school as her help was required by her father at his work on the land. Here Guza worked as well, willingly and cheerfully. She always found time to hear Mass and receive Holy Communion daily. As from the age of fifteen she also found time for daily spiritual meditation. Once she herself asserted that this habit had kept her in a state of grace till the very end. Guza determined to remain a maiden so as to feel closer to her chosen bridegroom – Christ, through the guidance of Holy Mary, her heavenly Mother. 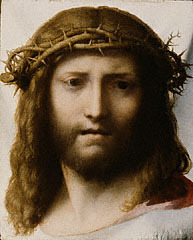 It is believed that when she was about twenty-five years old, working all alone one day in her father’s fields she saw the Holy Head of the suffering Christ. She was so impressed, that she implored Christ to inflict head pains on her, but in such a way that no one would notice. She would offer her sufferings as expiation for the sins of all. From that very instant her calvary of suffering on earth started: this lasted throughout the last eleven years of her life. She used to pray to be allowed to live and suffer in patience and with cheerfulness for the love of Christ. This very love caused her to leave the land of her birth and emigrate to Canada, there to spread her work and draw people back to God. She stayed nerly five years in that country where she faced great difficulties; the fruit of her work still survives. In January 1962 Guza returned to Malta owing to increasing ill-health. Here she spent the last two years of her life doing God’s work mostly amongst the sick, the elderly, the very young, suffering in silent cheerfulness owing to her never-ending head pains. Weakened now by her disease but still cheerful Guza died, to join her Creator, on Saturday May 9, 1964 on the very day she had predicted about four months earlier. During her life-time few people knew about Guza, because she always kept away from the crowds. Whenever she did anything in public her aim was always that of setting a good example. Her only confidant was her own spiritual director, It is said that the latter had always believed in the saintliness of the maiden’s life, and particularly so, when Guza had confined to him about the vision she had had of the Holy Head of Christ. Even when sometimes she confined to some of her sisters, she did this on the advice of a priest who had even suggested that she should write her own life story. We believed that the good God who raises the humble in heart, has permitted us to see some earthly signs that bear witness to the holiness of the maiden. For example, her body after two and a half years of interment was found not to have decomposed also, numerous avow to have received from God favours they had prayed for, after asking Guza to help them.